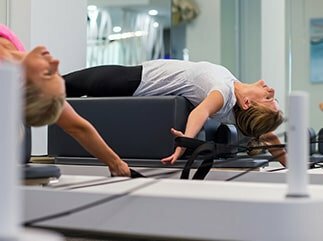 Pilates with a Physio – Why is it better? What benefit do I get? Here at SquareOne, our Philosophy is to not only fix your injury but send you away stronger, fitter and more resilient – in other words, less likely to injure yourself again. Our Pilates programs help deliver our evidence based exercise programs to those who are in pain, those rehabilitating or those just wanting to move and exercise more. When taking our clients through their programs we not only have what exercise you are going to do next front in mind we are thinking of a multitude of different things. Our knowledge of anatomy, pain science, biomechanics, load management, pathology and rehabilitation allows us to consider many different facets in developing your program. 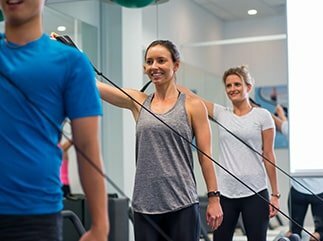 As Physios we use our knowledge of evidence-based exercises based on our assessment findings, the goals we have set together and current rehabilitation guidelines to select the most relevant Pilates exercises for you. When designing a program our first consideration is what does the evidence suggest regarding the management of this condition – NOT what is the fanciest exercise on Instagram. Only once this direction is established do we then think about the latest and greatest exercises and pieces of equipment (because we also have these) that fit our plan. At the end of each session whilst we are still saying goodbye and wishing you a lovely day, we are already planning your next session. We’ve recorded what you’ve done well, what main parts need to be addressed and what your plan will be for your next session. Overall, everything we do, has you in mind. Our individualised programs help you get better results quicker. And we love it! Seemingly our clients do to. Try for yourself today. To get started, you’ll need to attend a 1 hour assessment with one of our Physios. You can book online or call 9968 3424.